Happy Friday, all! Let’s head into the weekend discussing a popular beauty brand, shall we? Beautycounter seems to be everywhere these days. I first heard about the brand through fellow bloggers, and now Target even is carrying a limited edition line. I recently was contacted by Heather, a Beautycounter consultant, to see if I was interested in trying a few products. After all the hype, this was a no-brainer! I’ve been testing these products for a few weeks now, so it’s safe to share my favorite Beautycounter products and a giveaway at the end of the post! I will admit that since getting my skin under control, I wasn’t exactly keen on introducing new products to my routine. What if I had a bad reaction or the products caused me to breakout? 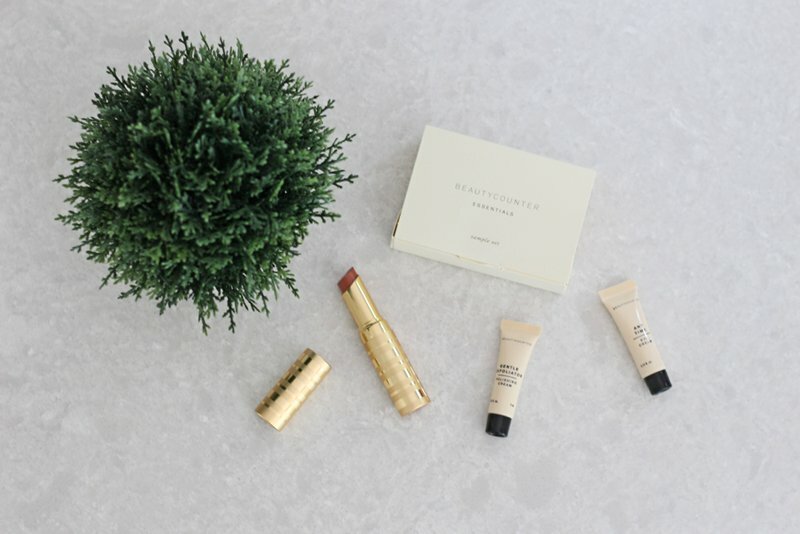 Luckily, Beautycounter products are safe for sensitive skin and free of harmful chemicals. 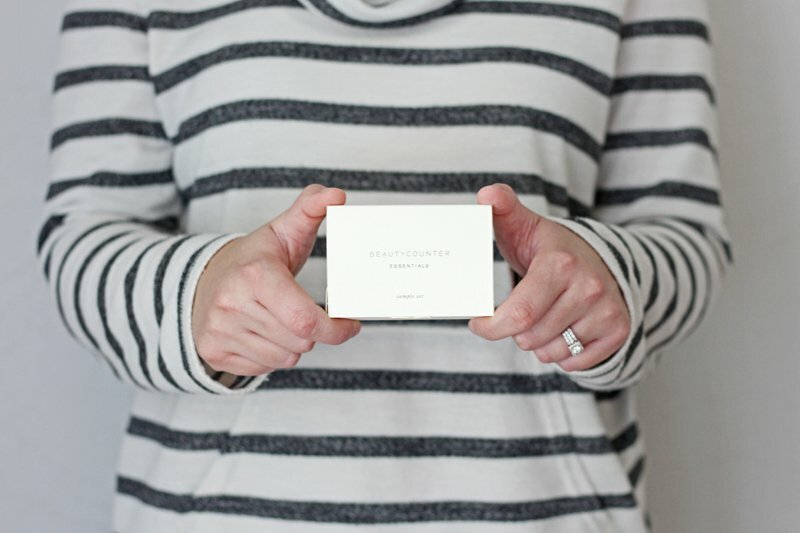 Heather sent over a sample pack of the Nourishing Collection – formerly the Essentials Collection. First of all, you know a product is on-point with their branding and packaging when even sample sizes are cute! It was nice to have a decent amount of each product to work my way through a complete daily skincare regime. My two favorite products by far are the Nourishing Cream Exfoliator and Nourishing Eye Cream. The exfoliator makes my skin feel fresh and smooth without being too harsh or irritating. I regularly try a lot of eye creams, and this is by far one of the best ones that I’ve used. The consistency almost reminds me of a silicone-based primer – it’s creamy, but it slides on and blends seamlessly into the skin. I also haven’t had any issues with my under eye concealer creasing, so that’s always a plus. The biggest surprise to me was that Beautycounter also has makeup products! I tested a sample of the Tint Skin Complexion Coverage Foundation, which unfortunately just isn’t for me. It is described as a buildable sheer-to-medium coverage, but I found it to be very light coverage at best. It looked slightly cakey when I tried to build it up for more coverage, and I ultimately was oily within a few hours. I did, however, fall in love with the Lip Sheer in the shade Twig. Hello smooth, creamy lipstick goodness. I thought this was going to be more of a lip balm with a slight color to it, but its instead become my new go-to daily lip color. I can’t even begin to describe how moisturizing it feels on the lips – it applies like a dream! And, the color is opaque enough to be worn on it’s own or with a little lip liner. I definitely will be picking up a few more shades in this product. Interested in trying these or other Beautycounter products? Now is the time to do so! You can get a free lip sheer if you place an order for more than $150 (email Heather before you place your order to pick your shade), and half off Band of Beauty Memberships, which gives free shipping for orders more than $100, a welcome gift (valued at $54), 15% product credit on all purchases, and additional bonus offers throughout the year! Email Heather before you purchase to grab this deal. Last but not least, it’s time for a little giveaway! One lucky winner will receive a free Nourishing Cream Cleanser. To enter, simply visit Heather’s Beautycounter site and then leave a comment on this post that tells us what products that you’re interested in trying and your email address. The giveaway will run through next Friday, Sept. 30. Good luck! I received sample size Beautycounter products and a full-size Lip Sheer in exchange for a review. All opinions are honest and 100% my own. If you have any questions about Beautycounter or want to place an order, email Heather Dahlen. I saw the Target Beauty Counter collab last weekend. After recently having a nasty breakout thanks to a new hairspray I’ve been on the search for better quality everything. While I was at the store I did a quick google search and didn’t find any information that was really helpful. So I’m super excited I found your post. Thanks! i have heard of beauty counter but never actually tried anything. 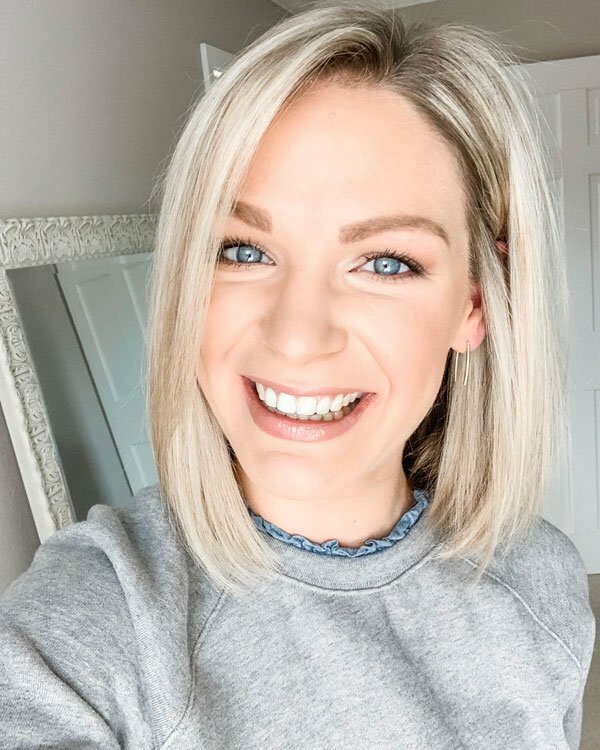 i’m trying not to buy new products at the moment, but that lip product looks AMAZING on you! I would love to try the Lengthening Mascara! Thanks for an AWESOME giveaway! I have the Beautycounter Hydrate body lotion in Citrus Mimosa and I love it, it smells so good. One of my favorites! You should try out our bath collection– same great citrus mimosa scent. It’s so gentle! Good luck! I’ve heard so many good things about the brand and was so tempted when I saw some of the skincare at Target with their collab! The lip product sounds so nice and looks like a great neutral shade! That lip color is really pretty on you, and I love the packaging! That’s often been my draw back with foundations and concealers- they tend to always be a touch lighter than I would like! I haven’t even heard of Beauty Counter! I love the lipstick shade you have there! The Nourishing Cream Cleanser seems great. I love products without harmful chemicals! Thanks! I’ve heard great things about their lip sheers and am dying to try one! I love their undereye cream as well and have been trying out their Countertime line which I’m still on the fence about. Thanks for sharing your review!! 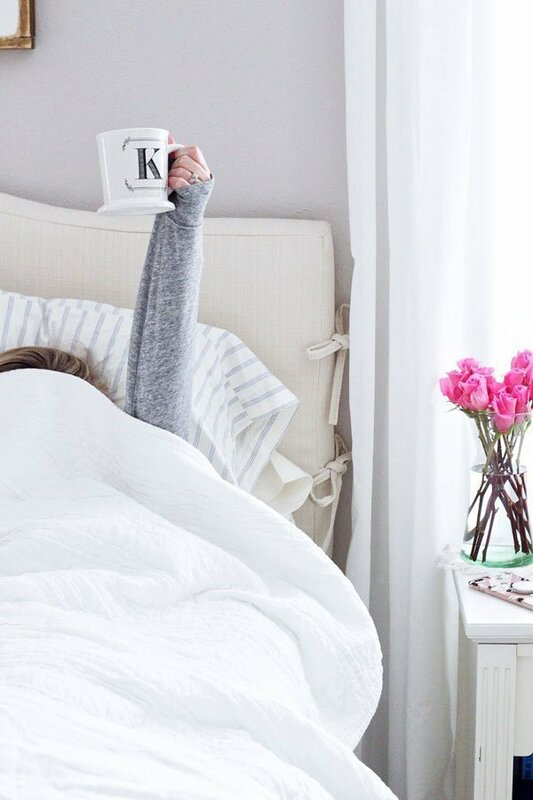 How did I miss this post when I checked Bloglovin’ this morning? This sound like a neat brand. I appreciate you tried it out for a couple weeks first and gave an honest review. Love the lip color on you. CONGRATULATIONS to Deidre! Hope you are enjoying your new Nourishing Cream Cleanser. I had not heard of this product line before, and I’m especially interested in the lipstick – really pretty, sheer color! You know I love BC! Have you tried the Dew Skin? You might like that since the tint skin didn’t work for you. I love the Twig lip color though. It goes on so smooth! I’ve found the Tint Skin goes on best after using a couple drops of the Soothing or Balancing Oil! Dew Skin is fantastic, especially for summertime.